Odeion. Northwest of the Stadium is a small restored marble Odeion. 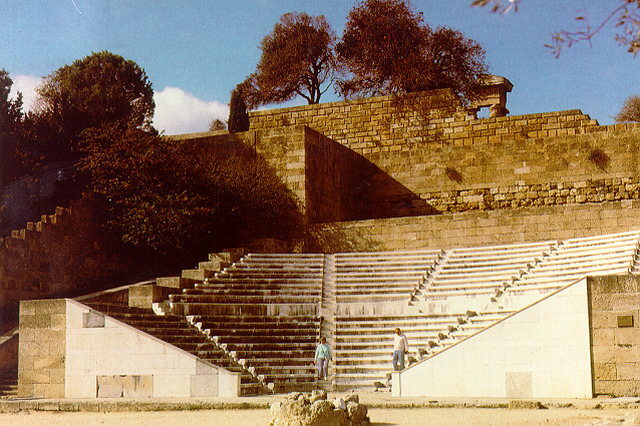 It held some 800 spectators and is thought to have been used either for musical events or for attending lessons in rhetoric given by famous Rhodian orators.